Chris-Kriton Skylaris studied Chemistry at the National and Kapodistrian University of Athens in Greece and received a first class MChem degree in 1996. He received a PhD in Quantum Chemistry from the University of Cambridge in 1999. Following an EU ICARUS Fellowship at the CINECA supercomputing centre in Bologna in Italy, he carried out postdoctoral research in the Theory of Condensed Matter group at the Cavendish Laboratory at the University of Cambridge, till 2004. He has held a Royal Society University Research Fellowship from 2004 till 2012, first at the University of Oxford and then at the University of Southampton. In 2006 he was appointed to a Lectureship in Chemistry at the University of Southampton. Chris is currently a Professor of Computational Chemistry and Director of Programmes. Chris’s research focuses on the development of theory, algorithms and codes for quantum mechanical (QM) calculations from first principles on parallel computers. He is a founding and leading author of the ONETEP program for large-scale (linear-scaling) quantum chemistry simulations. While his developments are based on fundamental science, they are often motivated by the need to provide solutions to challenging chemistry problems such as new materials, catalysis and drug design. Many of these problems require simulations of many orders of magnitude in time- and length-scales so another focus of his research is to develop multiscale simulation approaches where the quantum simulations which cover the microscopic electronic and atomistic scale are coupled with simulation methods suitable for larger scales. 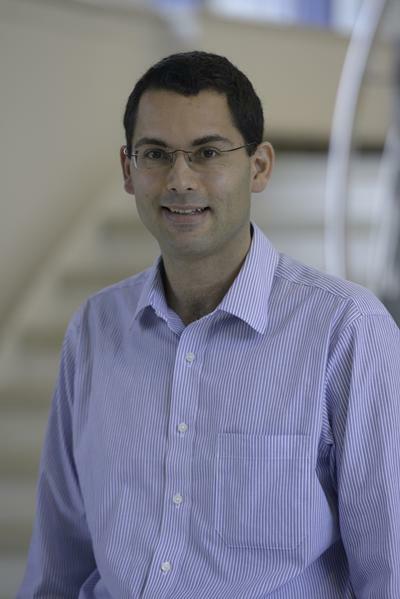 He is a committee member of the Theoretical Chemistry group of the Royal Society of Chemistry, the CCP9 group, and the UK Car-Parrinello Consortium. He regularly presents the work of his research group at invited and plenary talks at national and international conferences. He is the author of over 100 publications in international peer-reviewed journals. His research has been supported by RCUK (EPSRC, BBSRC, MRC), the Royal Society, NSF, CNPq, as well as industry where he has collaborative projects with Boehringer Ingelheim, BIOVIA, AWE, Schaeffler, Johnson Matthey, Astex, AZ, and Merck. We are interested in the computational study of chemical processes, especially in problems involving nanostructures and biological molecules. In these problems it is important to be able to provide an accurate description of the interactions between large numbers of atoms. To achieve this we develop theory and computer algorithms for large-scale quantum mechanical calculations as well as hybrid quantum mechanical - classical mechanical (QM/MM) simulation techniques. Many of our developments are incorporated into the ONETEP program which is also used by other researchers in academia and industry. Ab initio calculations, quantum chemistry, density functional theory, linear-scaling methods, high performance computing, parallel computing, Wannier functions, QM/MM methods, DNA, proteins, carbon nanotubes, nanocrystals, nanostructures. Lowe, B., Skylaris, C-K., Green, N., Shibuta, Y., & Sakata, T. (2017). Molecular dynamics investigation of surface potential changes at the oxide-electrolyte interface for field-effect transistor biosensors. 78th Japan Society of Applied Physics (JSAP) Autumn Meeting, Fukuoka , Japan. Lowe, B., Skylaris, C-K., Green, N., Shibuta, Y., & Sakata, T. (2017). Molecular dynamics investigation of the field-effect at the technologically relevant silica-electrolyte interface. 949-950. Paper presented at 49th International Conference on Solid State Devices and Materials (SSDM2017), Sendai, Japan. Lowe, B., Skylaris, C-K., & Green, N. (2016). Acid-base dissociation mechanisms at the silica-water interface: A DFT study. Paper presented at 251st American Chemical Society National Meeting & Exposition - Computers in Chemistry, United States. Lowe, B., Shibuta, Y., Sakata, T., Skylaris, C., & Green, N. (2016). Charge dynamics at the silica-electrolyte interface. 251st ACS National Meeting, San Diego, United States. Lowe, B., Shibuta, Y., Sakata, T., Skylaris, C-K., & Green, N. (2016). Complexity at the glass-water interface: Molecular dynamics and nanotechnology. CCS Warmup at the Conference on Complex Systems 2016, Amsterdam, Netherlands. Lowe, B., Sun, K., Zeimpekis, I., Skylaris, C-K., & Green, N. (2016). Limitations and possibilities for biologically-sensitive field-effect transistor-sensor design (BioFET): Complexity of the oxide-electrolyte interface. 5th International Conference on Material Science and Engineering Technology, Tokyo, Japan. Lowe, B., Shibuta, Y., Sakata, T., Skylaris, C-K., & Green, N. (2016). Wet glass and the future of nanotechnology: Ion dynamics at the nanosensor-water interface. Poster session presented at SET for Britain 2016, London, United Kingdom. Lowe, B., Shibuta, Y., Sakata, T., Skylaris, C-K., & Green, N. (2015). Investigation of the complex water-biomolecule-silica interface via molecular dynamics simulations. Poster session presented at 5th Student Conference on Complexity Science, Granada, United Kingdom. Lowe, B., Shibuta, Y., Sakata, T., Skylaris, C-K., & Green, N. (2015). The importance of understanding electrodynamics in understanding field effect biosensors. Poster session presented at Early Career Reseachers Colloquium, United Kingdom. Lowe, B., Skylaris, C-K., & Green, N. (2014). Deprotonation at the silica/water interface: a DFT study. Poster session presented at 4th Workshop on Theory, Modelling and Computational Methods for Semiconductors, Manchester, United Kingdom. Lowe, B., Skylaris, C-K., & Green, N. (2014). Simulation of silicon nanowire field effect sensors. Poster session presented at 4th Student Conference on Complexity Science, Brighton, United Kingdom. Skylaris, C-K., Haynes, P., Fattebert, J-L., Bowler, D. R., & Gillan, M. (2007). Workshop report. Linear-Scaling Ab Initio Calculations: Applications and Future Directions. Southampton, UK: University of Southampton.